If you ask a coffee expert or a coffee lover about what makes the most difference between a good cup of coffee and an excellent cup of coffee, he will definitely tell you that it resides on the freshly ground coffee beans. And now you just say that this is not new to you. 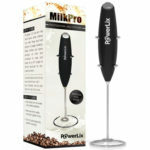 However, the ultimate thing you can do to turn your coffee even better is using the best hand coffee grinder. Yes, there are a lot of automatic coffee grinders for sale. So, why you should bother? 14 Why Should You Grind Coffee By Hand? 15 What To Look For When Looking For The Best Hand Coffee Grinder? 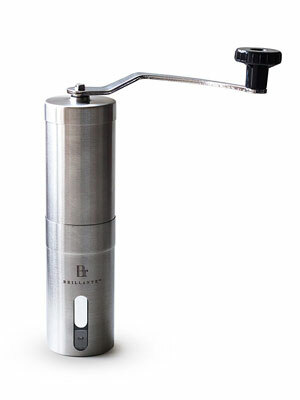 One of the best hand coffee grinders on the market is the Brillante Manual Coffee Grinder. You can be sure that this grinder will allow you to not only adjust the grind size and they will be consistent. And if you’re wondering why you need to adjust the grind size, the answer is fairly simple: there’s no such thing as a black coffee. There is a wide variety of coffees and while some need smaller grinds, others don’t need too much time on the grinder. Just to mention a few different types of coffee, you have the pour over, the espresso, the Turkish coffee, the French Press/Plunger, among others. One of the most common aspects mentioned within this manual coffee grinder reviews was the time you need to grind. And this is actually very impressive. It will ultimately depend on the person who is grinding. However, about 38 grams of coffee, what is enough for serving two people), should take you about 1 minute and 20 seconds. One of the main advantages of the best manual coffee grinders is the fact that they are very silent. They are quite the opposite of the automatic grinders. 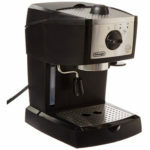 What scares many people when they’re looking to buy their first manual coffee grinder is whether it’s too hard to crank. With the Brillante Manual Coffee Grinder, it won’t be because the handle is long which allow you to move freely. Plus, they did their part on making the process as smoother as they could. However, the crank task may be harder with some coffee beans than with others. 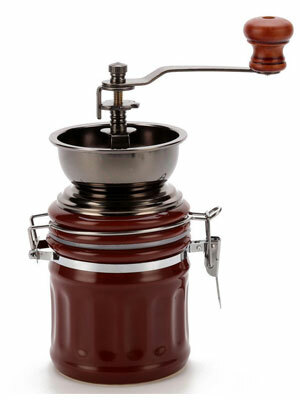 Oh, and if you want, you can also use this coffee grinder for spices as well. It will work like a charm. 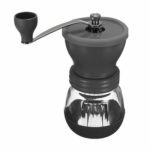 With a small, portable, and lightweight design the Hario Skerton Ceramic Coffee Mill is perfect when you’re looking for the best hand coffee grinder to travel. Despite it’s very easy to use and clean, it won’t provide you a bad coffee. Quite the opposite. You’ll be delighted with the professional experience you’ll have. Hario is one of the best manufacturers when we’re talking about hand coffee grinders. They know their business and know people like quality and an amazing cup of coffee. So, they decided to provide you with this affordable solution that you can take with you, everywhere you go. After all, how many times has it happen to you that you’re in a hotel in a strange city, and you just don’t know where to find a good coffee? If this usually happens to you, make sure to get the Hario Skerton Ceramic Coffee Mill. With its portable design, you can fit it everywhere and you won’t even notice it’s there until it’s time to use it. Many people love Aeropress. And they are just trying to find a compatible manual coffee grinder. And now you can take advantage of this opportunity by getting the EZE Hand Burr Coffee Grinder Most Consistent Hand Coffee Grinder & Coffee Press – Ceramic Burr Manual Coffee Grinder fits in Aeropress. The EZE Hand Burr Coffee Grinder Most Consistent Hand Coffee Grinder & Coffee Press – Ceramic Burr Manual Coffee Grinder fits in Aeropress is a very portable, lightweight, and small hand coffee grinder. This makes it perfect for traveling, camping, or even to stay right in your home’s kitchen. One of the main advantages of the EZE Hand Burr Coffee Grinder Most Consistent Hand Coffee Grinder & Coffee Press – Ceramic Burr Manual Coffee Grinder fits in Aeropress is the fact that it’s not only fast grinding as it is also consistent. And when you just love a good cup of coffee, you need to have consistency. 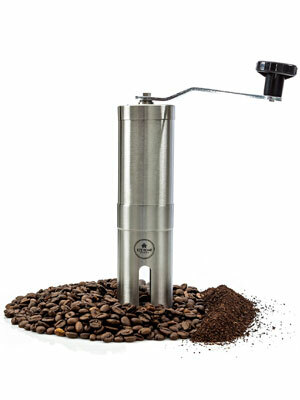 Considered by many as the best hand coffee grinder on the market, the EZE Hand Burr Coffee Grinder Most Consistent Hand Coffee Grinder & Coffee Press – Ceramic Burr Manual Coffee Grinder fits in Aeropress is made with the high-grade stainless steel. This will make sure that it lasts. Plus, it also includes ceramic burrs. This is already proven to last longer, be quieter, absorb less heat, and are rust-free. 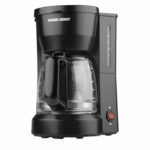 One of the many features that most of this manual coffee grinder reviews mention is the fact that it’s very easy to adjust the grind coarseness. All you need to do is to turn a knob that is located at the bottom and choose whether you want a french press coffee, an espresso coffee, or anything in between. As an extra, you can also use the EZE Hand Burr Coffee Grinder Most Consistent Hand Coffee Grinder & Coffee Press – Ceramic Burr Manual Coffee Grinder fits in Aeropress as a herb grinder or a spice grinder. 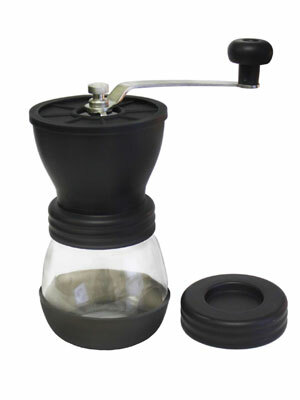 You already know that Hario is one of the best manual coffee grinders manufacturers. And the Hario Mini Mill Slim Hand Coffee Grinder just proves it. Using a ceramic mill because it doesn’t rust and it doesn’t get any odor, the Hario Mini Mill Slim Hand Coffee Grinder will amaze you with the grind consistency. When you’re using the Hario Mini Mill Slim Hand Coffee Grinder, you just need to turn a knob to adjust the coarse power. And one of the best things is that it comes with a transparent bottle. This way, you can see exactly the amount of ground you have. With a slim design, you’ll be able to place it anywhere in your kitchen, even if it’s small. One of the main advantages is that you can store it without the handle. And this will give you a lot more spare space. When it’s cleaning time, the Hario Mini Mill Slim Hand Coffee Grinder makes it all easy for you. Just disassemble the parts and clean it quickly. Despite most of the other best manual coffee grinders we’ve already mentioned are made with stainless steel, this one uses a high-quality plastic, which makes it a lot lighter than all the others. However, make sure that when you’re using it, it doesn’t slip because it’s that light. Another great option when you’re looking for the best manual coffee grinders on the market is the Culinary Prestige Premium Manual Coffee Grinder – Cutting-Edge Conical Ceramic Burr for Precision Brewing Every Time. 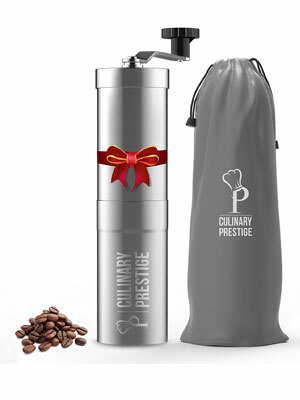 Built with durable stainless steel, you can use the Culinary Prestige Premium Manual Coffee Grinder – Cutting-Edge Conical Ceramic Burr for Precision Brewing Every Time every day if you want. The main advantage of the Culinary Prestige Premium Manual Coffee Grinder – Cutting-Edge Conical Ceramic Burr for Precision Brewing Every Time is the highly adjustable grind selector. It includes more than 18 click settings to make sure that you get the perfect coarseness that you’re looking for. And to all those Aeropress fans, you’ll be glad to know that the Culinary Prestige Premium Manual Coffee Grinder – Cutting-Edge Conical Ceramic Burr for Precision Brewing Every Time is compatible. With an amazing and slim design, the Culinary Prestige Premium Manual Coffee Grinder – Cutting-Edge Conical Ceramic Burr for Precision Brewing Every Time will be the king of your kitchen. 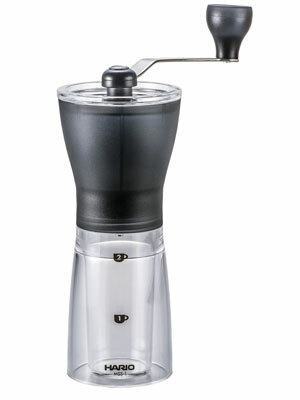 In case you’re getting your first manual coffee grinder and are nor exactly sure about the different grind profiles that are recommended, you’ll also get, along with the Culinary Prestige Premium Manual Coffee Grinder – Cutting-Edge Conical Ceramic Burr for Precision Brewing Every Time, a manual explaining you about the needed grinds for percolator, french press, automatic coffee maker, coffee cone, among others. The Handground Precision Coffee Grinder: Manual Ceramic Burr Mill – Brushed Nickel was actually designed by coffee enthusiasts. With 15 different grind settings, you can be sure that you’ll get the exact grind you like. With the Handground Precision Coffee Grinder: Manual Ceramic Burr Mill – Brushed Nickel, you’ll get a consistent grind every time you use it. The manufacturer guarantees you this because the Handground Precision Coffee Grinder: Manual Ceramic Burr Mill – Brushed Nickel uses a 40mm conical ceramic burr mill. When it’s time for that amazing cup of coffee, just load 100 grams of coffee beans into the hopper and lock the top. This will prevent that you have coffee spread all over your kitchen. One of the things that the Handground Precision Coffee Grinder: Manual Ceramic Burr Mill – Brushed Nickel design has different from many of the other best manual coffee grinders is that they placed the handle on the side. This will allow you to use your other hand to be on top of the grinder and you’ll be more well-balanced. The Kuissential Coffee Burr Grinder – Manual Ceramic Hand-crank Coffee Mill is an amazing coffee grinder that is made with ceramic burr. They chose this material instead of stainless steel because it has been showed to have a lot of qualities. These include the fact that it lasts longer, makes less noise, doesn’t rust, absorbs less heat, and it does not alter the flavor. So, you know your coffee will always taste the same. And this is even truer because, with the Kuissential Coffee Burr Grinder – Manual Ceramic Hand-crank Coffee Mill, the grind consistency is king. No matter if you want to have a french press coffee or a simple espresso, all you need to do is to adjust the grind size to make the perfect coffee cup. When you receive the Kuissential Coffee Burr Grinder – Manual Ceramic Hand-crank Coffee Mill at your home, you’ll see that the package also includes a lid for the bean hopper. The manufacturer simply looked at this coffee grinder reviews and noticed that people were complaining about getting the coffee beans spread out all over the kitchen when they were grinding the coffee. With the Kuissential Coffee Burr Grinder – Manual Ceramic Hand-crank Coffee Mill, you also won’t have any problems to clean it up. The 3E Home Manual Canister Ceramic Burr Coffee Mill Grinder, Stainless Steel Top and Ceramic Body is another great choice. And this manual coffee grinder reviews just confirm it. Made with a high-quality ceramic burr, you can rest assured that your coffee will always taste the same. And you’ll have a manual coffee grinder made to last, without even rusting. The 3E Home Manual Canister Ceramic Burr Coffee Mill Grinder, Stainless Steel Top and Ceramic Body includes a built-in coffee grinder selector that allows you to choose the type of grind you want, depending on the kind of coffee that you want to drink. You can select the right coarseness for the Turkish coffee, espresso, cold brew, pour over, or French Press. One of the best advantages of the 3E Home Manual Canister Ceramic Burr Coffee Mill Grinder, Stainless Steel Top and Ceramic Body is the fact that it’s very quiet and silent. Even if you have kids and you just need that first cup of coffee alone in the morning before waking them up, you can be sure that the 3E Home Manual Canister Ceramic Burr Coffee Mill Grinder, Stainless Steel Top and Ceramic Body won’t do it. Despite the 3E Home Manual Canister Ceramic Burr Coffee Mill Grinder, Stainless Steel Top and Ceramic Body structure is made with ceramic, they included some stainless steel on top just to enhance the design. It also includes a door to prevent the coffee beans from coming out while you’re grinding. These coffee grinder reviews are simply amazing, and you can count with the Firlar Premium Manual Coffee Grinder Adjustable Coffee Grinder Burr, Stainless Steel Burr Mill Grinder with Brush to have the most consistent grinds. With an adjustable grind selector, all you need to do is to turn the knob to get the grind size that you want. 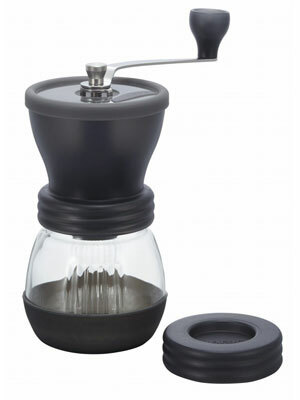 This coffee grinder is perfect if you love espressos, french press coffee, percolate, pour over, or anything else. Made of durable stainless steel to make sure that it lasts even if you take it to camping, the Firlar Premium Manual Coffee Grinder Adjustable Coffee Grinder Burr, Stainless Steel Burr Mill Grinder with Brush will still be able to provide you with an amazing fresh coffee. As soon as you enjoyed your delicious hand-made coffee, it’s time for clean. And all you need is warm water and a brush and it will be done and ready for you. The Steel Coffee Manual Coffee Grinder [Improved Handle Design] Premium 18/10 Stainless Steel Adjustable Ceramic Burr Portable Coffee Mill For Consistency And Precision has suffered a redesign and it now includes a stronger handle. 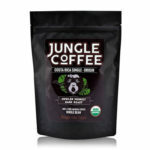 When you love fresh coffee, the last thing you want to taste in your mouth is the burned coffee beans flavor that usually come out from the automatic or electric coffee grinders. 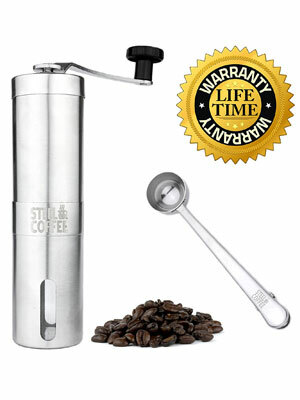 So, when you’re looking for the perfect consistency for your grinds and you want to have the same aroma, then you need to consider getting the Steel Coffee Manual Coffee Grinder [Improved Handle Design] Premium 18/10 Stainless Steel Adjustable Ceramic Burr Portable Coffee Mill For Consistency And Precision. The Steel Coffee Manual Coffee Grinder [Improved Handle Design] Premium 18/10 Stainless Steel Adjustable Ceramic Burr Portable Coffee Mill For Consistency And Precision is made of stainless steel and it has a minimalist and sleek design. And since it’s compact, you can take it with you wherever you go. One of the main advantages of the Steel Coffee Manual Coffee Grinder [Improved Handle Design] Premium 18/10 Stainless Steel Adjustable Ceramic Burr Portable Coffee Mill For Consistency And Precision is the fact that it includes a lifetime warranty. If this isn’t trusting their product, we wonder what it is. And if you don’t completely trust their word, make sure to view some of this coffee grinder reviews. With 18 different grind settings, you can be sure that you’ll get the perfect grind for your coffee with the Hunt Brothers Coffee Grinder | Best Conical Burr for Precision Brewing | Consistent Grind | Top Rated Manual Coffee Mill | Aeropress Compatible, Perfect for Traveling. The Hunt Brothers Coffee Grinder | Best Conical Burr for Precision Brewing | Consistent Grind | Top Rated Manual Coffee Mill | Aeropress Compatible, Perfect for Traveling is an amazing manual coffee grinder that is very easy to use and it grinds evenly. And this will make your coffee taste even better. With a compact design, the Hunt Brothers Coffee Grinder | Best Conical Burr for Precision Brewing | Consistent Grind | Top Rated Manual Coffee Mill | Aeropress Compatible, Perfect for Traveling is just the perfect companion for road travelers, campers, and even when you’re on holidays. With an ergonomic design, it will be easier than ever to grind your coffee. All you need to do is to adjust the grind size according to your preferences, with the locking screw. Then, just place the coffee beans inside, place the handle, and start grinding clockwise. 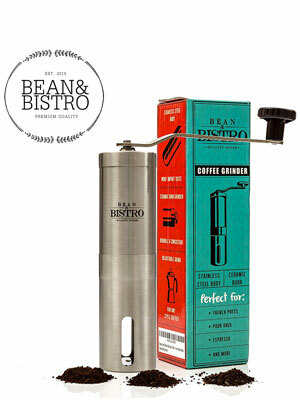 Despite the Original Manual Coffee Grinder by Bean & Bistro – Adjustable Ceramic Burr, Stainless Steel Body, Portable was designed to work with the Aeropress brewing system, you can also use this amazing manual coffee grinder to make an espresso, pour over, drip, and others. The Original Manual Coffee Grinder by Bean & Bistro – Adjustable Ceramic Burr, Stainless Steel Body, Portable includes a durable ceramic burr grinder but the body is built with stainless steel. 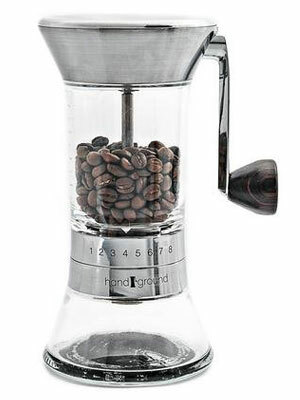 So, you have the best of both worlds and you can bet that this coffee grinder is going to last. One of the main advantages that is focused throughout this coffee grinder reviews, is the fact that it’s very quick. You can produce 6 tablespoons of brew-ready in just 90 seconds. Plus, they offer a lifetime warranty. This concludes our best hand coffee grinder list. Why Should You Grind Coffee By Hand? When you need to travel a lot, either for pleasure or work, you’ll probably need to stay in a different hotel each place you visit. And this makes it a little hard for you to find a place where you can get a decent cup of coffee. One of the main advantages of manual coffee grinders is that they’re very light, small, and easy to carry around with you. So, just take it with you and always have fresh coffee no matter where you are. 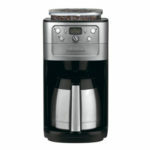 When you are on a budget, there are no questions that you should prefer a manual coffee grinder than an automatic one. When you have and use a handheld coffee grinder, you need to take the time to grind your own coffee. And since this work will be done for you, you’ll notice how better the coffee will be just because you did this effort. Take the time to enjoy the process of making your own coffee. You simply won’t know how well you’ll feel unless you try it. We live in a world where all seconds count. So, we make and drink our coffees in a rush because we are already late for a meeting, and then you still need to do this and that, and think about your husband and wife about some problems they might be having, or simply start thinking about what you’re going to cook for dinner, who is going to pick up the kids at school, and so on. I guess you got the message. But a handheld coffee grinder allows you to put your life on pause, just take a break, and enjoy the moment. You have the power to use an appliance that is hardly found in someone else’s kitchen and you just love it. Not only because it has a good design but because it’s one of those appliances you have in your kitchen that you wouldn’t know how to survive without. 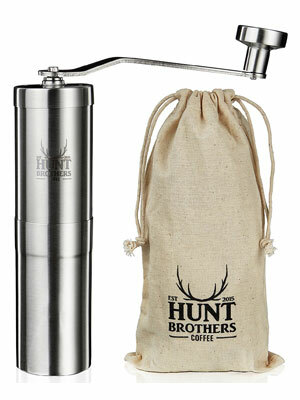 Now that you understand why you should get a handheld coffee grinder, it’s time to start searching for one. 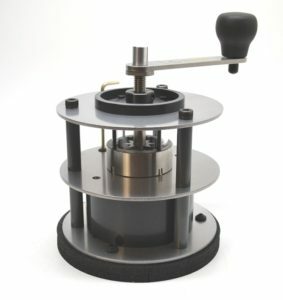 As you can imagine, there are many different manual grinders on the market. So, what factors do you need to consider to make your final decision? 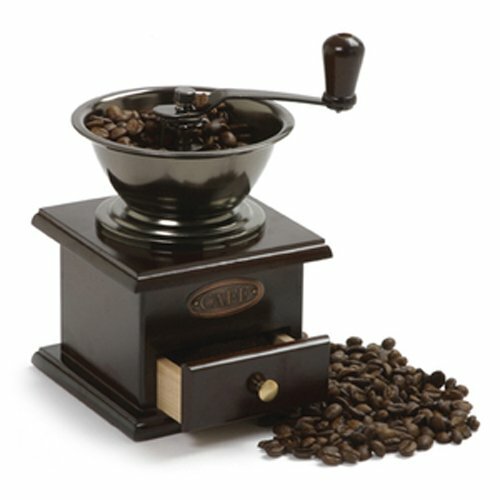 What To Look For When Looking For The Best Hand Coffee Grinder? When you’re thinking about using your handheld coffee grinder for traveling, you should think about getting one with a cylindrical shape. This will make it much easier for you both to store it as well as to grip. When traveling isn’t your first priority, then there are a lot more options to choose from. You can go for one with a vintage style, for example. 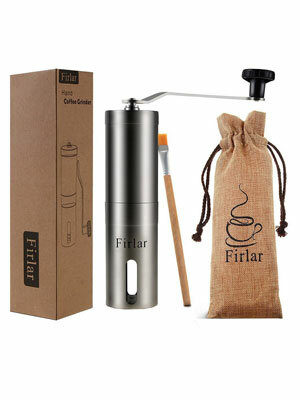 The material is deeply concerned with the durability of the hand crank coffee grinder. Despite you can find manual grinders made with a wide variety of materials, the best one to choose is ceramic or stainless steel. This option includes the easy to clean aspect as it should be one of your first priorities, as well as it will look amazing in your countertop, right next to your coffee machine. In case you want it for traveling, the best choice is stainless steel. Both precision and consistency are key aspects when you’re talking about getting a hand crank coffee grinder. You need to know that the grinds will always be consistent. If the grinder doesn’t do the job well, your coffee will never taste the same. Whenever you’re considering buying an appliance, you need to look at the warranty offered by the manufacturer. This allows you to know how much the manufacturer trusts his own product. And the same is true with hand crank coffee grinders. Make sure that the one you pick has a warranty. We’re not talking about asking your family or friends about a specific hand crank coffee grinder (unless they have one and they’re happy with it). We’re talking about reading some coffee grinder reviews. Coffee grinder reviews, when written by real users of the product, will allow you to a little more about the grinder itself. If it’s as easy to clean as they say, if the grinds are consistent, if there are some parts that can easily break. And what happens when someone had a problem using the hand crank coffee grinder? Did the manufacturer solve the problem? Was he quick enough? Despite you might not get the answer to all these questions, there’s no doubt that you’ll get to know a lot better the hand crank coffee grinder you’re about to purchase through the coffee grinder reviews. Now that you know what factors to consider when you’re looking at the different options, it’s time to start searching for the best hand coffee grinder. So, we decided to give you a hand and picked up a list with the 12 best hand coffee grinders. Despite you may have some extra work when you’re using a manual coffee grinder, you can be sure that coffee have never tasted you better that this one. Plus, it’s made by you. And taking the time and effort to then enjoy something you love, it’s an amazing feeling. Now that you know what to look for when you want to buy a manual coffee grinder as well as some of the best options, make sure not to forget to read the coffee grinder reviews you decided to buy before you proceed. When you want to get the perfect coffee, you need to have some accessories. 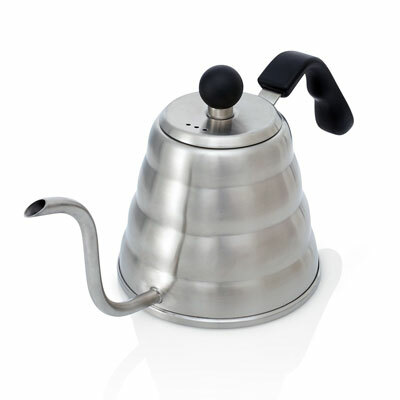 So, make sure to read more about coffee making accessories now.